You will always have support and fast assistance from our mobile locksmith in Uxbridge. We don’t only offer emergency service, but do a wide range of jobs to help you k eep every property secure. From installing new home locks or office master key systems to rekeying locks and urgently replacing the car keys, you will find us by your side every single time. Our team offers service regardless of what you need via our mobile units. With us, you don’t have to wait. One call and Locksmith Uxbridge will be there for you. What makes our mobile locksmith company in Uxbridge, Ontario, stand above the competition is our commitment and experience. The difference between us and other companies is that we offer mobile service. You don’t have to come to us. Our locksmith comes to you. In order to maintain our legacy and help each and every customer quickly, we have every tool needed in our trucks. All techs are certified, trained, licensed, and qualified. 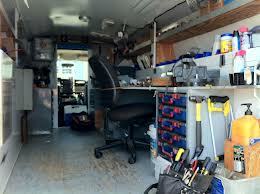 With us, every single mobile locksmith service is done accurately and promptly. Our techs install all lock types – high security locks, cabinet and mailbox locks, window and interior door locks etc. There is a long list of what we can do for you. Just name your need and let us handle it. When you are in need of an emergency locksmith, ask our assistance. Since our mobile team is fast, we’ll help in a jiffy. Problems with the transponder key? 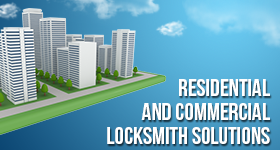 No matter which urgency threatens security, we will offer 24 hour locksmith service quickly and properly. We always do our job right thanks to our skills and by utilizing the right equipment. By nature, mobile teams are fast. Ours is not just quick but also efficient and ready to assist you with whatever you need. Get in touch with our Uxbridge mobile locksmith today.